WEA Signature Elite expatriate maternity insurance is one of our best overseas medical insurance for those wanting to add to their growing family. 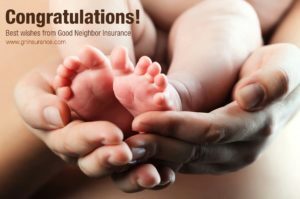 Good Neighbor Insurance has provided this great expat medical insurance to our clients for the past five years. You may view all the up-to-date medical benefits of the WEA Signature international medical benefits https://www.gninsurance.com/wea-signature/. The WEA Signature Care and the WEA Signature Select for Individuals is what we recommend – Built to meet the needs of the individual, these international medical insurance offer fundamental care options including full surgery and emergency room benefits. Competitively priced, you can choose to add additional benefits including maternity and Term Life Insurance. For couples – Good Neighbor Insurance recommends the WEA Signature Select and the WEA Signature Elite options – Living abroad with the one you love can change the entire expat experience. To protect you both we recommend the Select or Elite Option, offering comprehensive coverage, increased lifetime benefits, and all the fundamental protection you deserve. The Select Option can also be expanded to include maternity benefits. For families – Good Neighbor Insurance recommends the WEA Signature Plan and the WEA Signature Elite – Expatriate families have different needs than individuals and couples. Our overseas expat insurance are specially designed to help meet unique needs, including those with an expanding family. The Elite Option includes many benefits such as maternity, child wellness care at no extra cost, while also significantly increasing lifetime benefits. For those that do not want maternity cover – best option for non-maternity cover is our GMMI for volunteers at https://www.gninsurance.com/gmmi-career-long-term-insurance-plans/ or our GMI for our business clients at https://www.gninsurance.com/global-medical-insurance-businesspeople. 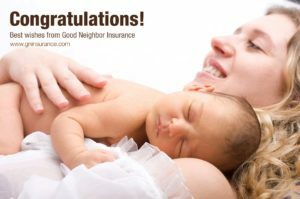 We appreciate all that the WEA Signature expatriate medical insurance does for our clients here at Good Neighbor Insurance. WEA Signature overseas medical insurance benefits exceed the type of coverage our clients are requesting, especially when it comes to stronger than usual maternity cover. Good Neighbor Insurance provides international travel insurance, expatriate medical insurance, as well as international employer group medical insurance and other international cover to those traveling and living outside their country of resident/country of citizenship. Call one of our professional licensed international insurance agents at 866-636-9100 or here in Arizona at 480-633-9500 or you may email us at info@gninsurance.com. Our corporate web site is https://www.gninsurance.com.